We have a wide variety of recyclable plastic bank bags from strap and note bags, hopper bags, currency bags, coin bags to bank deposit bags. 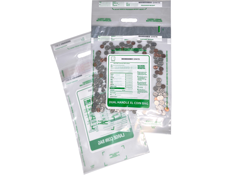 These disposable plastic deposit bags come with complete depositor instructions printed on each bag, and many are tamper evident include sequential numbering, tear-off receipts, and Federal Reserve bar codes to organize and trace deposits. Bags are printed, but also can be customized to your specifications. 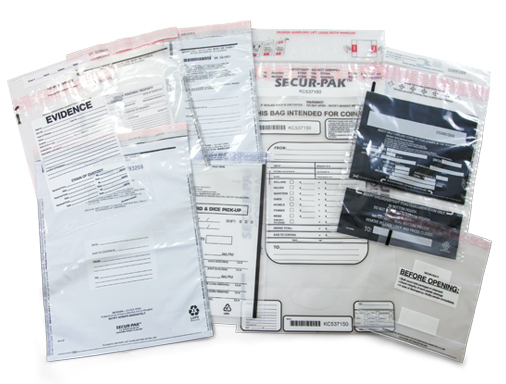 We offer bank deposit bags in clear and white film and with your choice of tamper evident closures. Great for making frequent deposits of large sums of money. Great for any coin-operated business! Thick and sturdy bags for securing loose coins from laundry machines, coin-op vending machines, arcades and more. Currency Bags are used for one denomination of bill per bag ($1, $5, $10, $20, $50). We offer strap bags for 1, 5 & 10 strap(s) of 100 notes.